Those of us who study the ecology of long-extinct marine creatures have to work from clues: the morphologies of the fossilized organisms, the character of the enclosing sediment, and the preserved spatial relationships between fossils in bedrock. It is always pleasing to see modern examples that support our interpretations of ancient life. 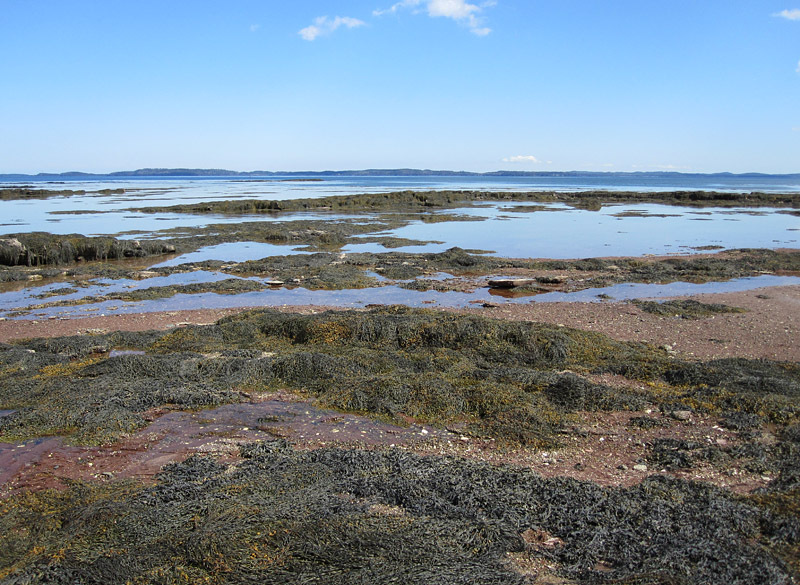 These photos from the shore of Passamaquoddy Bay show some very nice examples of the way in which many organisms need solid substrates. 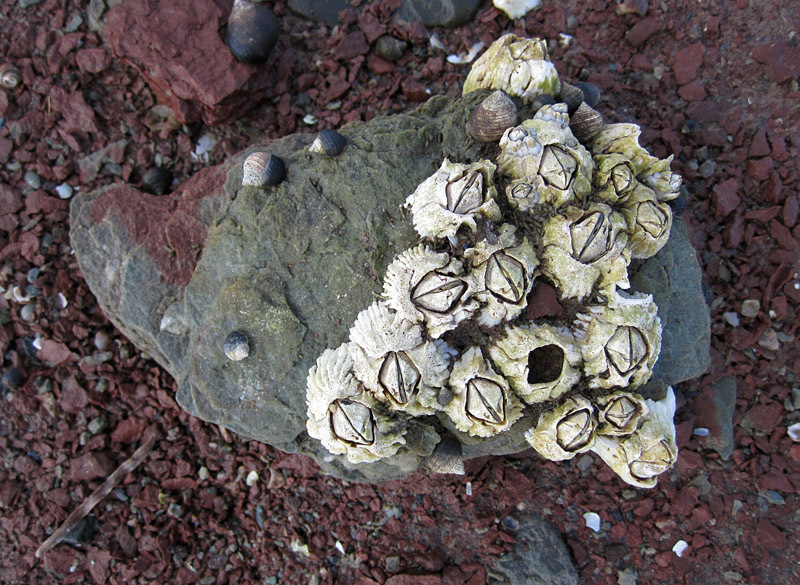 In some sedimentary rocks formed on muddy or sandy seafloors, such as Manitoba’s burrow-mottled Ordovician carbonates, we often see fossil corals that had grown on top of other corals, corals that had grown on top of stromatoporoid sponges, and sponges that had grown on corals. In interpreting these we generally state that the distribution of the fossils was governed largely by the rarity of hard substrate. If the seafloor was covered with firm sediment, then the coral or sponge could have grown directly there. But if the seafloor was composed of soft or shifting sediment, then an organism there could not remain in a stable position, and it was only those that found firmer substrates that were able to survive. Thus, we see the corals and sponges that had grown on other corals and sponges, as those were the only hard surfaces around (whether the overgrown creatures were alive or dead at the time is a whole other avenue of inquiry). Saturday had the only pleasant afternoon in a string of wet days. 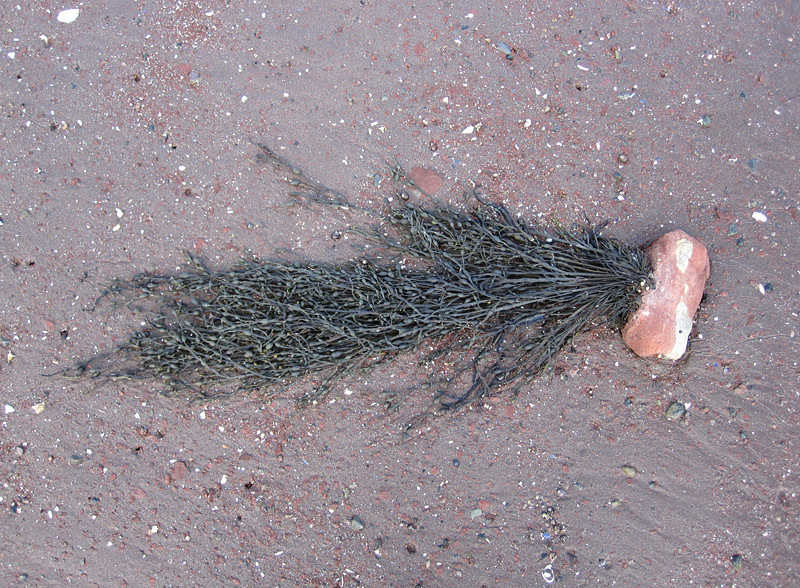 Wandering around on the seashore at Saint Andrews, N.B., I began noticing all the creatures and seaweeds attached to solid rock. 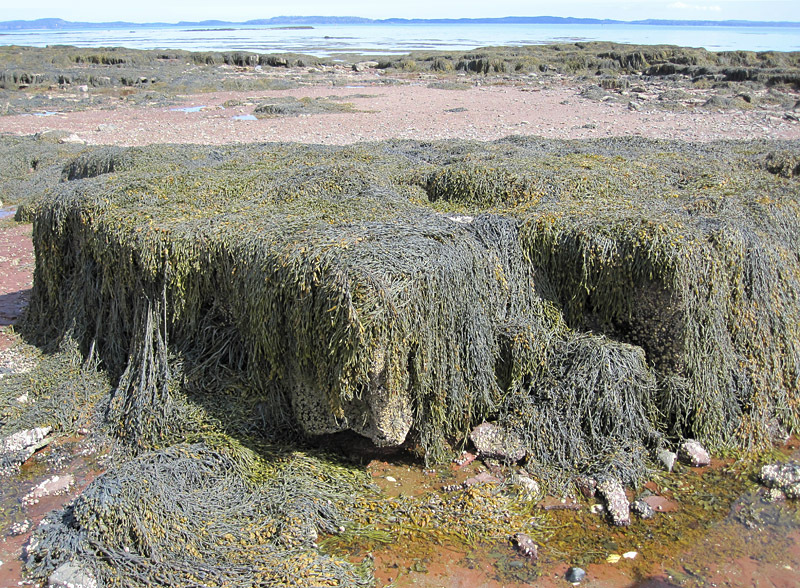 In some large areas they were fixed to the bedrock, Upper Devonian sandstone belonging to the Perry Formation; these were easy to observe, the fields of dark seaweed interspersed with patches of white barnacles. 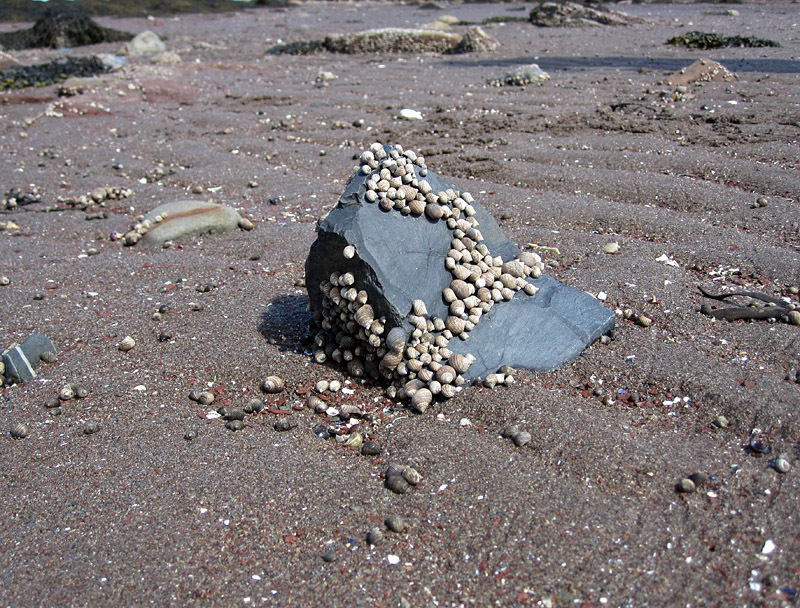 Between these, the modern sands of the tidal flat were home to almost no attached life, but many of the stones that were cobble-sized or larger were heavily encrusted. 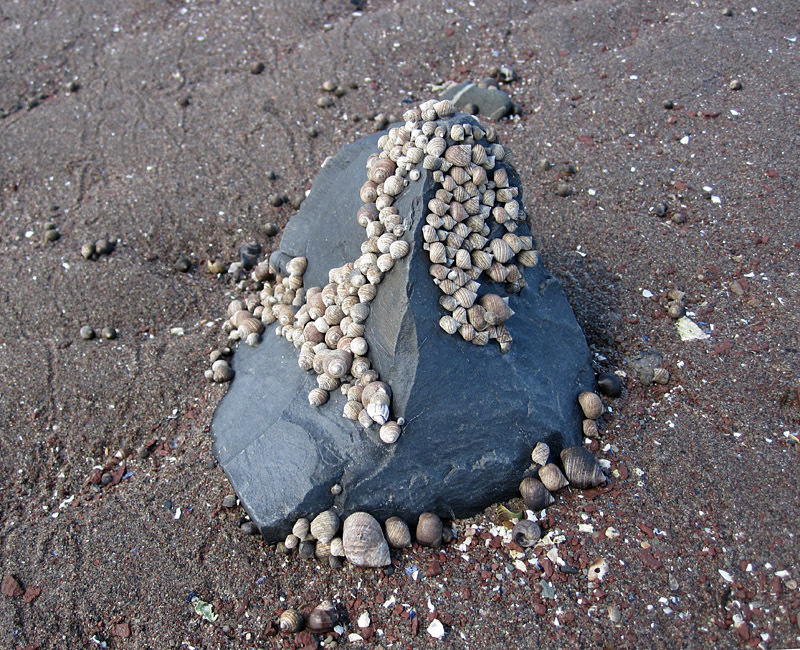 In addition to the attached encrusters, some stones hosted numerous periwinkles; these gastropods often prefer hard surfaces. 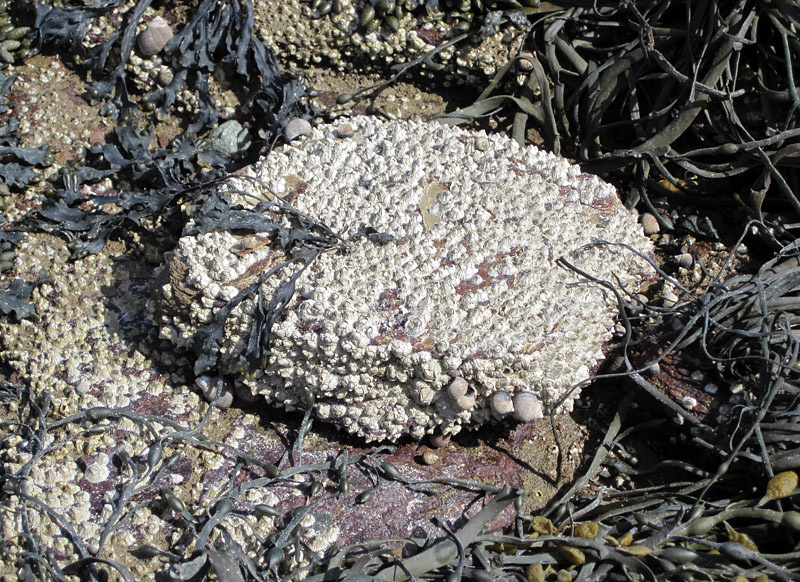 Hard substrate is clearly at a premium here, and the only barnacles that grow to adulthood are those whose larvae managed to attach to cobbles or bedrock. 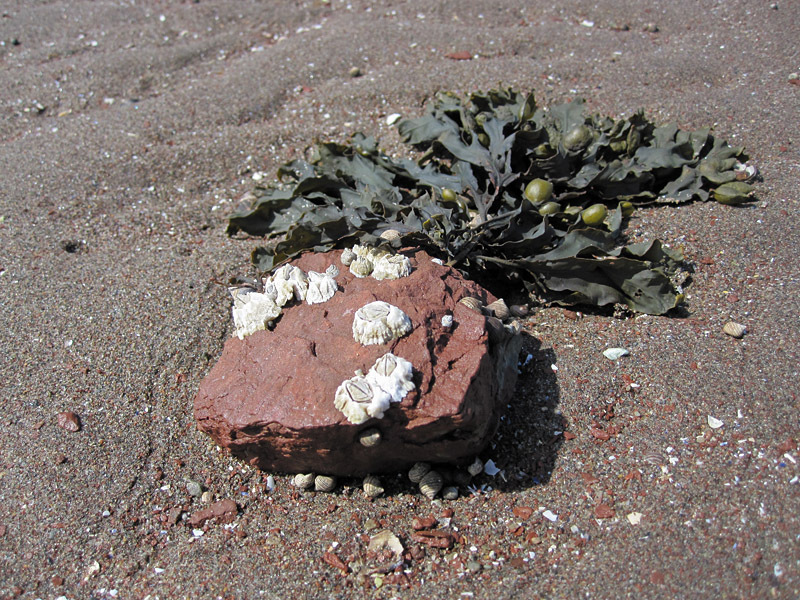 For the attached life forms, each patch of rocky surface is not just premium real estate. It is like an oasis in the desert, or a safe planet surrounded by inhospitable space. 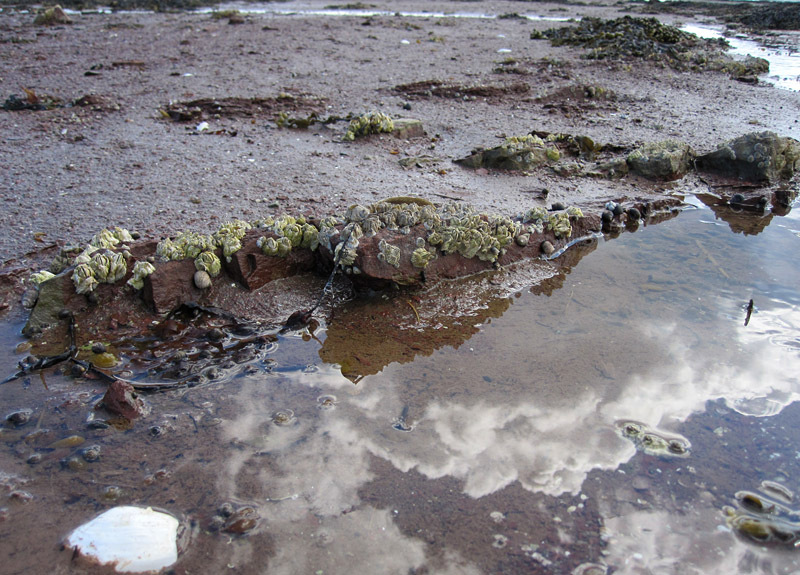 The profusion of life at low tide along the shores at St Andrew’s is visually overwhelming at first. 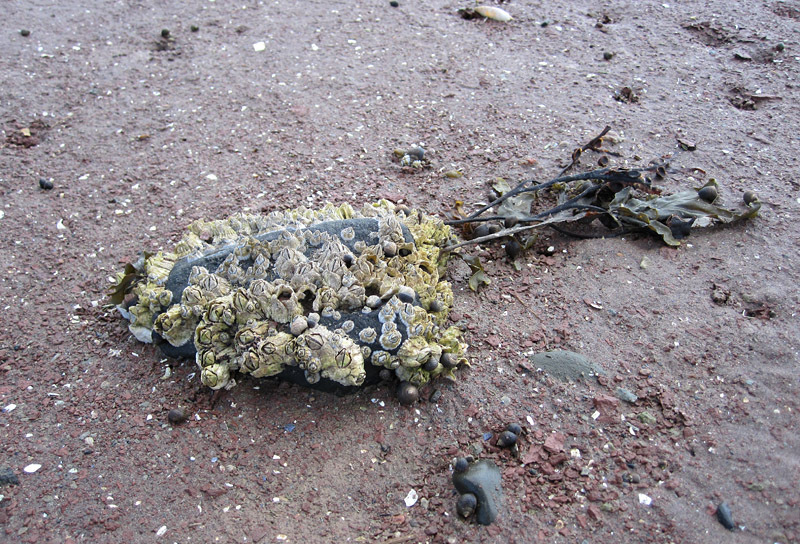 A curiosity is the presence of modern coral chunks cast about near wharves. Apparently it was used as ballast on empty ships returning from warmer waters. I wonder if any exotics survived to colonize northern waters? Hi Gary, sadly they couldn’t survive there. There are some cold-water corals, but modern reef-type corals have no tolerance for places where the water temperature drops below about 18 Celsius.